Isn't Encouraging Prey-making urges dangerous? This question is understandable from the perspective of behavioral science because if something like a “fixed action pattern” is being “reinforced” won’t it become stronger and more of a feature of the dog’s orientation? Isn’t my dog going to become more and more maniacal about incidental prey, deer, squirrels, etc. that we run across on walks or in the yard if I’m encouraging it to bite things? Revealingly, we can see in the current state of dogdom that the exact opposite is the case. Millions of owners have been successfully educated by behavioral science that they should discourage their dog’s oral urges and prey instinct in order to maximize its domesticated nature. The modern dog owner is now far more worried about teaching their dog not to bite than were previous generations of owners when it was more commonly accepted that not all dogs were friendly or should be expected to be friendly. How often do you hear the expression that’s a “one man dog” these days? 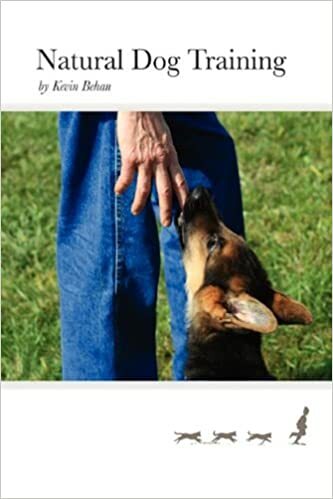 The idea that one should teach a dog not-to-bite is seemingly buttressed by the theory of domestication that dogs are denatured from their wild heritage in that they are descended from scavengers that came in from the cold of the village dump, and are now so thoroughly adapted to human culture that their nature is fundamentally different from proto-dog or ancestral wolf. But the paradox has now become that currently there is so much aggression and hyper-reactivity in dogs precisely because their prey-making hardware/software was either, under-exercised or was actively repressed, distracted, and desensitized. To understand this we need to make a distinction between prey instincts and prey DRIVE. Prey instinct is a fixed action pattern that elicits a hardwired string of reflexes. Drive on the other hand is a state of emotional suspension that is attuned to the energetic parameters of the moment, and can smoothly select from a repertoire of reflexes that FEEL most suitable to the context. Therefore, PREY DRIVE DOESN’T EXCITE PREY INSTINCT, IT CALMS IT. Being In-Drive is the capacity to feel potential energy and the strength of this feeling enables a dog to self-modify and even limit its actions in order to maintain that state of suspension. Instinct is a sheer downloading, relief-seeking from a build up of tension state of experience. 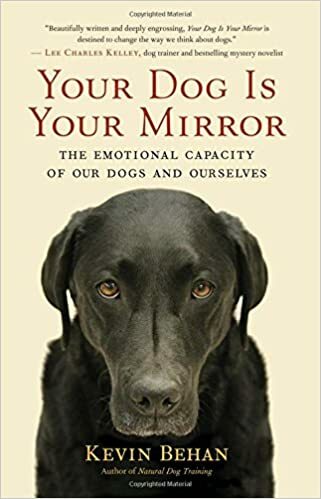 And a feeling of potential energy (rather than any kind of cognitive understanding) allows a dog to hold itself back without building up an emotional charge, in other words, actually feeling rewarded by doing nothing or working to attune itself to its owner if that is called for. An instinct is the collapse of an animal’s emotional capacity into a species-specific repertoire of reflexes whereas when a dog is in drive its feeling of potential energy is the strongest part of its awareness and its feeling of being in suspension with its owner, is its reward so that therefore the incidental prey animal IS NOT potential energy. An owner does not need sheep or birds or anything natural to induce a state of suspension with a dog. They just need to become a complex object of resistance that the dog can overcome by tuning in and attuning to. So by encouraging a dog’s drive, and since NDT says all drive is related to the hunt/prey, it therefore lowers the dog’s threshold of excitation toward its owner while simultaneously raising the dog’s excitation toward an actual prey animal that hasn’t become integrated as part of the drive expression. Amazingly, the dog becomes more excited by the fake prey as offered by its owner than the real prey that might be encountered naturally. Drive in service to the hunt is emotional alchemy. 2 of my dogs chased a deer the other day. just the chase was enough or so it seemed. the deer was not even scared, he must have somehow figured that he was the kind of calibre deer that will not be intimidated by such silly little pet dogs. …he was kind of coming up to me to see if maybe i did not want to chase him a bit. or maybe people had fed this deer and he is semi tamed and not as afraid around people and dogs as a truly wild deer would be. my friend’s dog, a lurcher, has proven that she can kill deer and sheep single handedly, without the help of another dog. maybe because my friend does not typically work to release her dog’s prey drive, therefore it is too high when a hunting situation arises outdoors ? would it not also be true that some dogs are genetically predisposed to be more likely to go for the kill and others will feel too much fear, because they are immature ? or their position in the pack would be that of chaser, not killer ? basically my theory would then be that in a wolf pack, it is always the same few wolves doing the killing, and the vast majority of the pack never kills but just chases to see if they can tire out the prey ? the other scenario would be that this particular deer was too strong and healthy to be considered as prey, evident in the fact that the dogs got tired while he did not. and if the deer does not show sufficient amounts of fear, the dogs will not go for it, correct ? with the prey’s fear levels thrown in as another contributing factor, it seems as though humans are not likely to be able to predict predictable whether or not a dog or predator in general will actually go for the kill, even if they are hungry and the prey is well within the range of killability of a particular predator. obviously there are people who train their dogs to attack, (Michael Vick) i wonder if they go through a lot of dud dogs that drop out of the program because they just will not attack at a high enough percentage, no matter how much training they receive. I think that my third dog is one such dog, maybe even an omega stay at home mom. she rarely ever participates in a hunt and if she does she comes back to me after half a minute, not comfortable with being out there where it could get nasty. or should this be considered a behaviour driven by different instincts. the theory seems to be that this happens when an animal “does not fit in, does not play by the rules of the pack”.